Stretching for 1,631 miles from the Everglades to Brownsville, Texas, the Gulf Coast encompasses a variety of diverse habitats that are home to thousands of species of plants and animals. 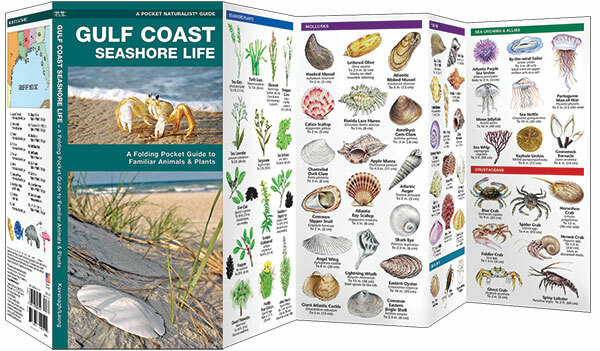 This beautifully illustrated guide highlights over 140 familiar and unique species of birds, mammals, nearshore fishes, seashore creatures, seashells and plants. 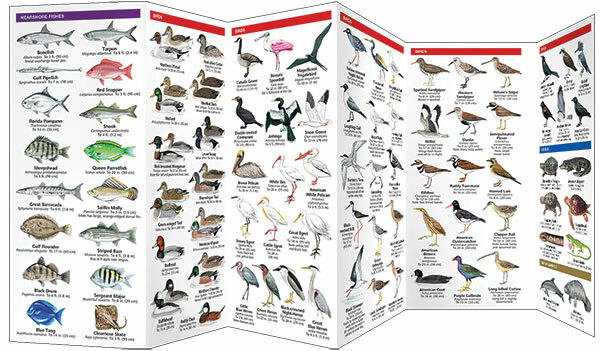 It also includes a map featuring prominent wildlife-viewing areas. Laminated for durability, this lightweight, pocket-sized folding guide is an ideal source of portable information and ideal for field use by visitors and residents alike. Made in the USA.